Spring has made its way to Saskatchewan! After a long, cold winter, many homeowners are looking forward to getting outside and sprucing up their properties. Although we tend to first think about things like landscaping and painting, there’s another important part of your house that needs your attention: your roof. You see, your roof has taken the brunt of the bad weather that comes along with the winter season. It’s your first line of defense against wind, snow, and ice. Follow this advice from our roofing company in Saskatoon to make sure your roof is in top condition for the rest of the year. Check for roof damage: Now’s the time to do a visual inspection of your roof. Do you notice any missing shingles or cracks in the flashing? These are leading signs that you may need roof repairs—or a new roof altogether. 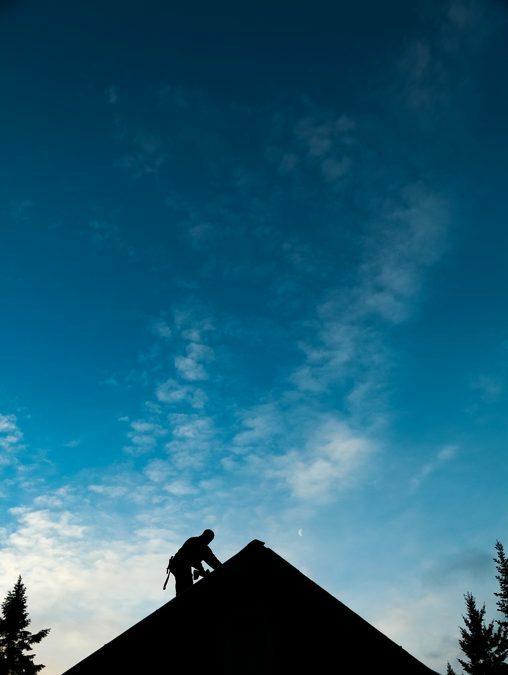 Once you suspect a problem, call a roofing contractor immediately for a more thorough look. Check your gutters: You may think of your gutters as totally unrelated to your roof. However, damaged or clogged gutters often mean that water isn’t flowing away from your roof and walls as it should. This could set you up for leaks. Make sure your gutters are fixed tightly to your home, aren’t sagging, and are free from leaves, pine needles, and other debris. Clean it off: Roofs can be breeding grounds for mold, moss, fungus, and algae. If left untreated, these invaders can cause damage that weakens your roof. But don’t try to handle this project on your own. For the best results, safety, and protection of your property, contact a roofing company. They may be able to handle the job or can refer you to a professional who specializes in roof cleaning. If you notice any issues with your roof or think it’s time for roofing services, call Cactus Roofing. Our Saskatoon, SK roofing company is ready to help. Contact us today for a free estimate!